I have a confession to make. I have never actually had the famous biscuits from Red Lobster…..or at least I don’t remember them. Hubs and I aren’t big sea food fans and have only visited the place a couple of times. However, I recently bought a mix from Wal-Mart that was supposed to be a replica of these famous biscuits. So being the frugaltastic girl I am, I decided to take a stab at making my own. I started with my regular old biscuit recipe and added to it. 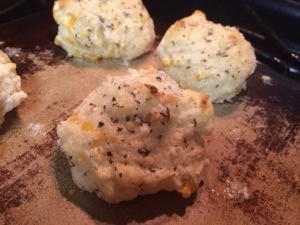 I did cut the recipe in half and it made 14 cheesy, buttery biscuits. 1 1/2 tsp Italian seasoning. 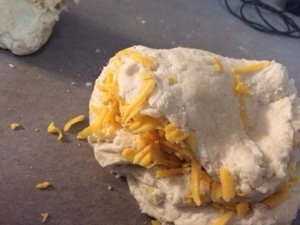 Once your biscuit dough is ready, place the grated cheese on top and fold it over. 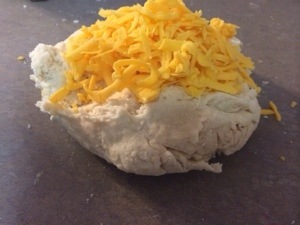 Continue folding it until the cheese is evenly mixed in. Pull off pieces and drop them on the pan. You don’t want them to be perfectly shaped. 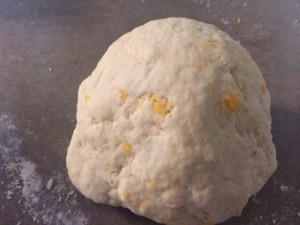 Leave the crevices on top for your buttery topping after they bake. You won’t regret it!!! 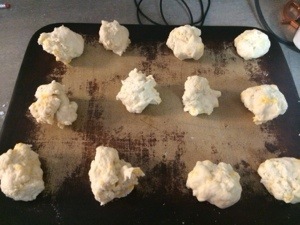 Bake your biscuits on 450 degrees for 8-10 minutes. While they bake, melt your butter. 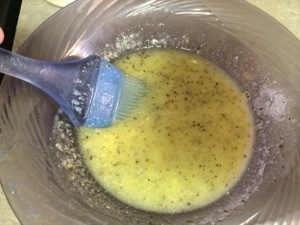 Stir in the parmesan cheese, garlic and Italian seasoning. 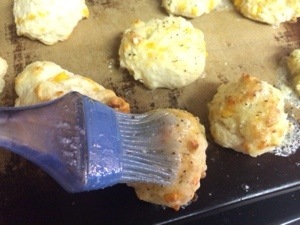 As soon as the biscuits come out of the oven, brush the butter mixture over the top.